Will you be charging your client’s sales tax? If yes, then you need to add the required taxes. This will assist you at tax time and keep your accountant happy. 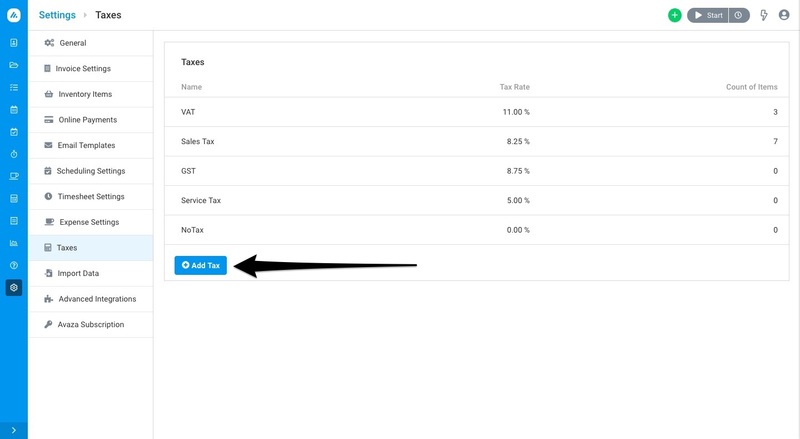 Navigate to Settings > Tax to get started. Here is how you can set up your tax information in Avaza. 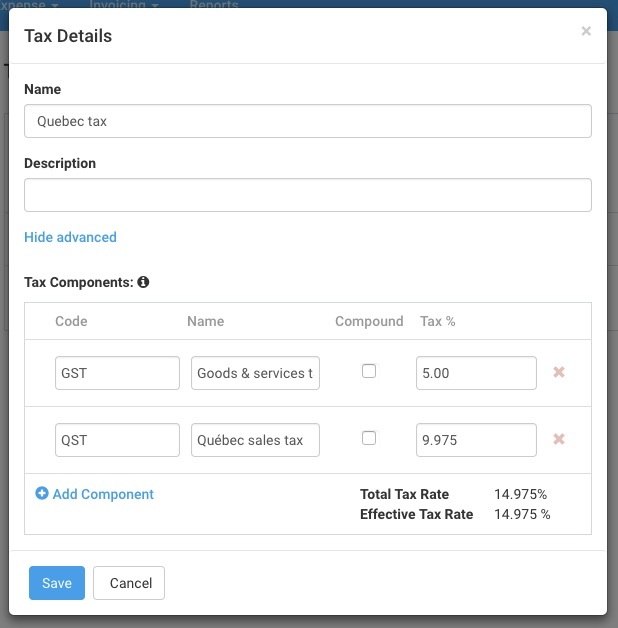 Navigate to Settings > Tax > Add Tax. Note: Please contact your accountant if you are unsure what taxes are applicable in your country. Enter the name, description and tax percentage. A tax code can have one or more components depending on the tax requirements in your country. If you require multiple components click the “Show Advanced” link, and click “Add Component” to add new rows. Any of the tax components can be marked as a Compound Tax. This means that the tax will be calculated on the invoice subtotal after other tax components have been applied to the line item. Click “Save” when you’re done. 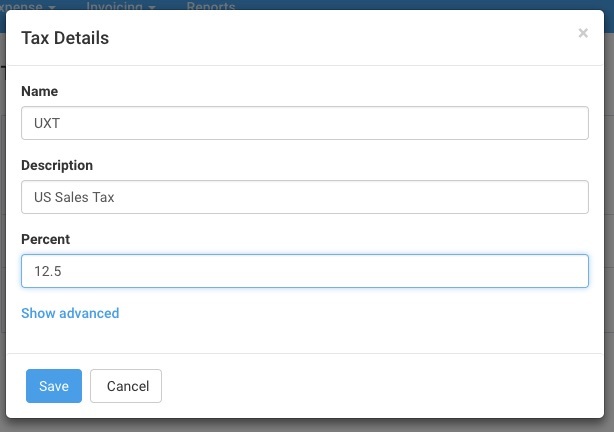 Note: Description field is displayed in the tax drop-down field when creating an invoice. Hope this guide helps you understand how to create and manage taxes in Avaza. If you need further help, feel free to contact our support team via chat or by emailing support@avaza.com.